Dassault Aviation and the French DGA awarded by Aviation Week for the nEUROn programme. 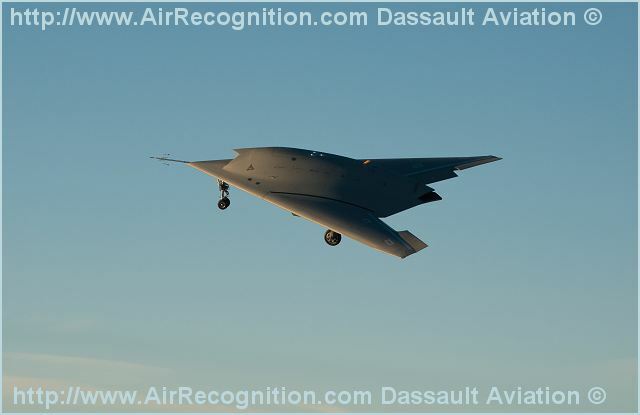 Yesterday, at a ceremony held in Washington DC by the well-known defence and aeronautics magazine Aviation Week, Dassault Aviation and the French Defence Procurement Agency (DGA – Direction générale de l’armement ) were announced winner of the Laureate Awards, for the nEUROn programme, Europe’s unmanned combat air vehicle (UCAV). This price, that honors the values and visions of the global aerospace and defence industry, salutes the technological challenges performed and the innovative industrial solutions designed to develop the first large size stealth platform made in Europe, the nEUROn technological demonstrator. Initiated by the French government in 2003 through the French Defence Procurement Agency with Dassault Aviation as prime contractor, the aim of the programme was to demonstrate the maturity and the effectiveness of technical solutions to face the main challenges of the future combat aircraft industry for the next twenty years. The need to develop strategic technologies, the necessity to uphold advanced skills in areas in which the French industry has gained technical competences and fields of excellence, and the goal to provide workload to the design offices have led the nEUROn programme to be one of the most important for the defence sector. The success of the nEUROn maiden flight, the 1st December 2012, validates the capability of the French industry to prepare the future of manned or unmanned combat aircraft systems. It also illustrates the will of the French Authorities to be a major actor to the build-up of the future of defence, and the strategic commitment of Dassault Aviation to design and develop the best technologies to propose the outmost innovative operational solutions.